Any Question Please email me. 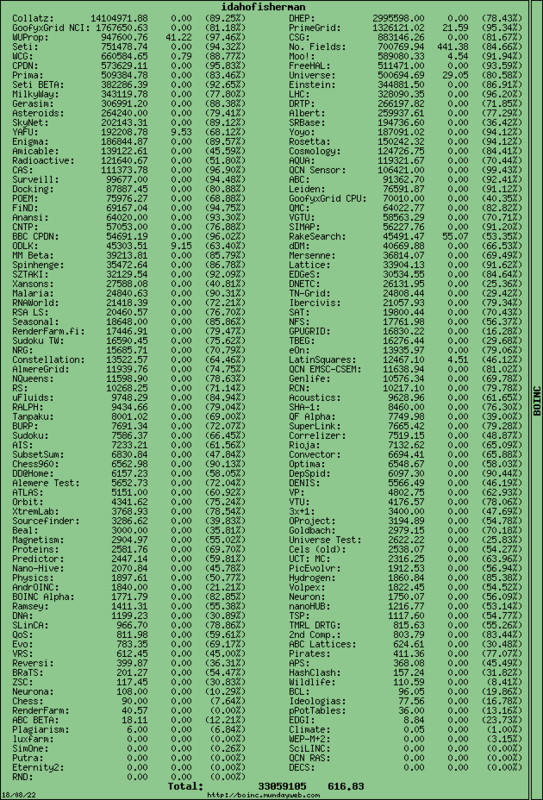 I am not aware if they are or are not exporting stats. Hopefully my limit can be increased and I'll get the projects added over the next few days. All the projects marked as "ok" above have been added witht the exception of Anansi as their web server is listening on port 8005 which I suspect is blocked by my web host's firewall as my update script can't connect to their server. Once this has been done, I'll enable the project. This will bring the total of supported projects to 90! 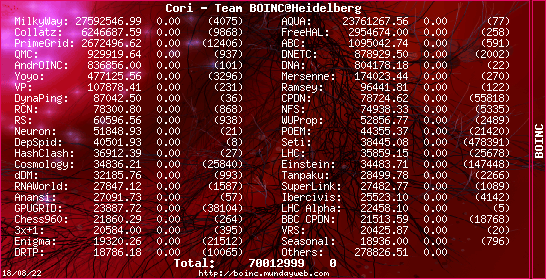 That project is doing nothing useful, only running the default sample BOINC app. Please disable it until the real work starts. People should be discouraged from running it until there is real work. I have temporarily disabled the project until it distributes real work units. p.s. I have made this a new topic as it didn't belong in the To-Do-List topic. Up to now only closed beta, but soon open. Thanks for the info - support for the project has now been added. Please consider add AlmereGrid TestGrid to the stats. Thanks for letting me know - I have added the AlemereGrid TesGrid project and updated VTU so that my site is now getting updates again. Support for the project has been added. it seems I can't add distributed DataMining to my projects, it's not listed under 'Your projects/Use the form below to add a project to your account'. You should be able to add the project now. Yay, it works! THX, Neil for the fast reply and fix!